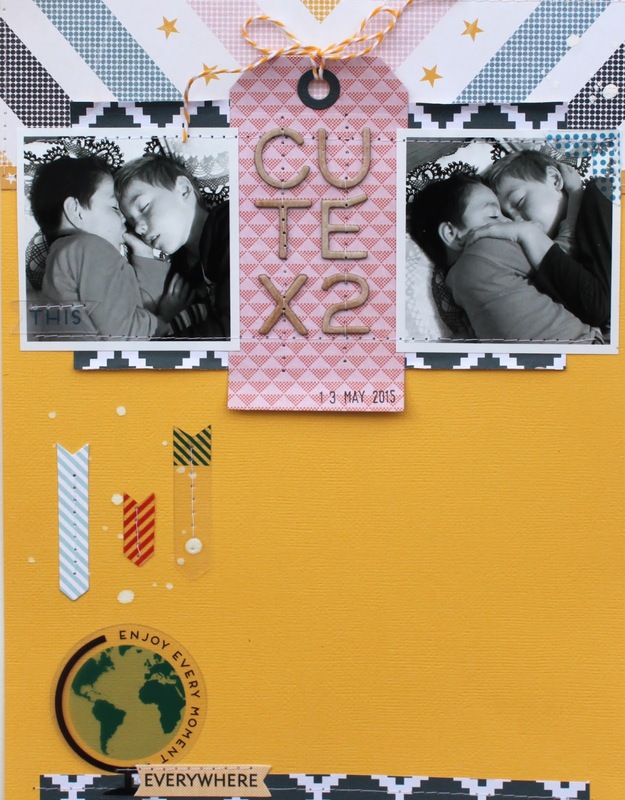 I'm back with another layout using the June "Globe-Trotter" Kit and I have used two small square photos on my 8.5" x 11" page. I usually like to have my photos close to each other on my pages, but this time I decided to separate them and pop my title in between. Instead of using my usual white cardstock background I decided to use yellow to match the patterned paper. 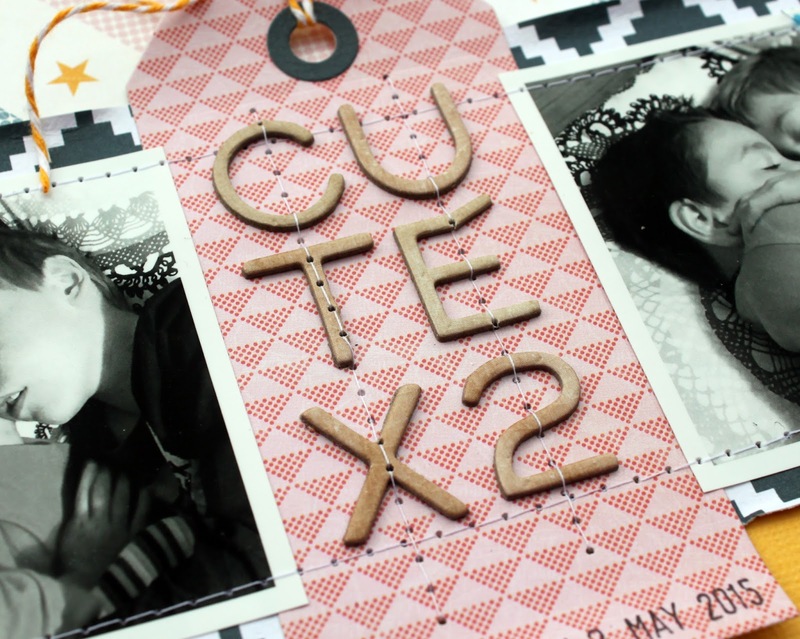 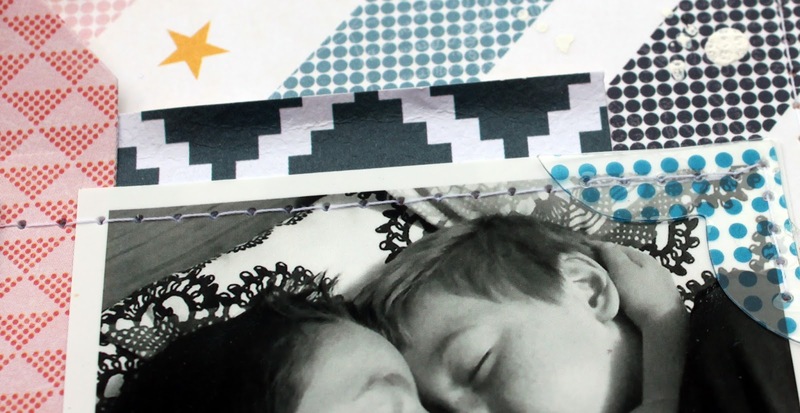 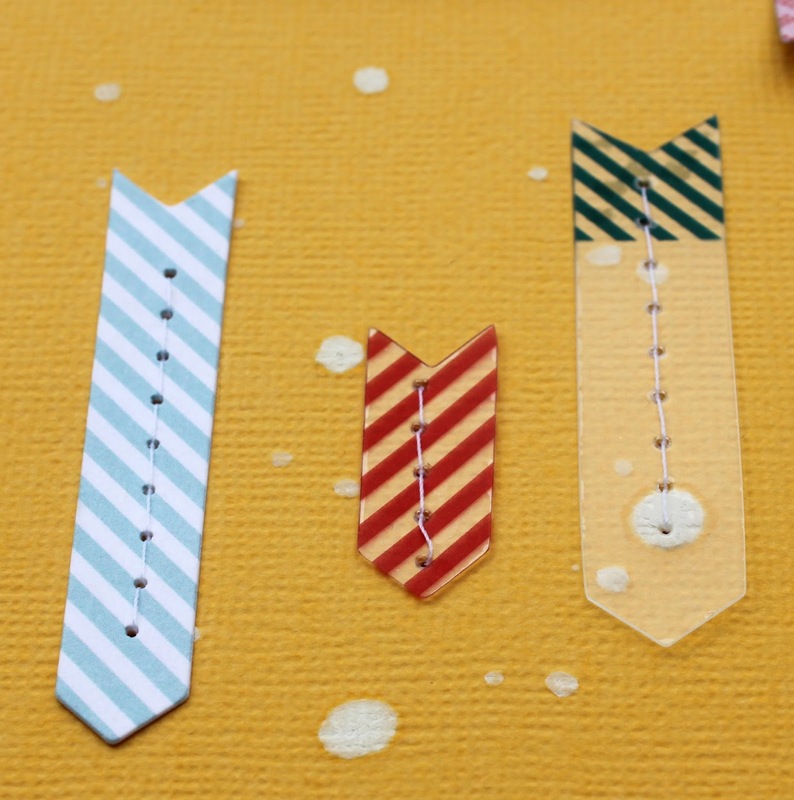 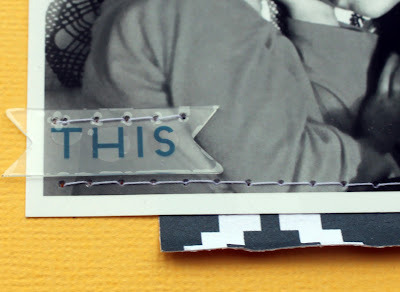 I die-cut my tag from patterned paper but you could easily do this with a paper trimmer. A sprinkling of white Heidi Swapp Spray Ink really popped against the yellow background. 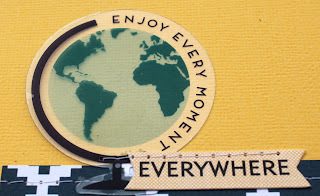 These die-cuts might be travel-themed but you can use them for so many other stories too. 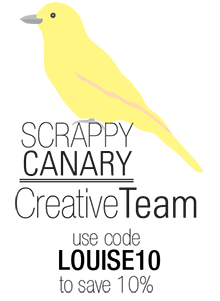 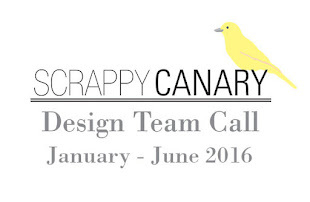 Don't forget to use the code LOUISE10 for 10% off at the Scrappy Canary store.